Never worry about an entire strand of lights going out again or having to climb up a ladder to find that one bulb that is causing the entire strand of lights to go out! A hundred years from now, a Stay-lit® Christmas light string will never have gone out. 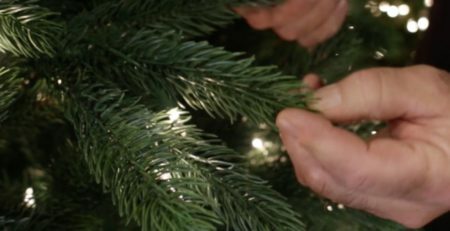 Yes, individual bulbs may burn out from time to time but the string will never go out – (unless, of course, you cut the wire or a fuse blows!). The reason for this is that inside of every light socket there is a tiny thermistor microchip that acts as a ‘silent sentry’ to keep the light string operating. When all bulbs in the string are operating properly, the chip does nothing. However, as soon as something happens to a bulb – whether it gets broken; becomes loose in the socket; falls from the socket; burns out or whatever – the chip takes over and acts as if it were a bulb to keep the rest of the string operating properly. It even acts as a kind of “surge protector” to protect the bulbs from power surges caused by other bulbs in the string burning out. In a light string with tungsten filaments, a thermistor is connected across the socket terminals as a shunt. In normal operation, the bulb lights and about 2.5 volts appear across the two components. If the bulb burns out, the voltage begins to rise in that socket. As it rises, the resistance of the thermistor decreases. As it decreases, it soon “looks like” a bulb. The string stays lit. In an LED string, there is a resistor across the socket. A thermistor could be used but since resistance are much higher, a low cost resistor is used. Because of the Patented Stay-lit® Technology, the lights last longer than a regular light string, making your Holiday Display better than ever. You can also create a beautiful “Twinkling Effect” by inserting several ‘flasher’ type bulbs in a Stay-lit® light string. When a “flasher bulb” is placed in the socket of an ordinary light string, the entire light string flashes off and on. When placed in a Stay-Lit® light string, just that bulb flashes off and on. Place several flasher bulbs in a string for a very pleasing random twinkle effect. 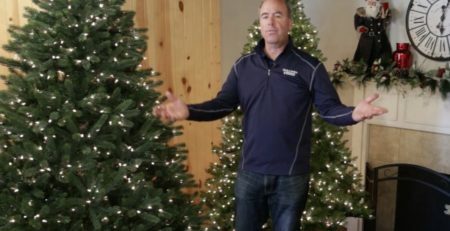 Stay-lit® Pre-Lighted trees even come with the “Twinkling Effect” already built in. Stay-lit® light strings and Pre-Lighted Artificial trees are sold in major retail stores. Beware of knock-offs with similar meaning names – they do NOT do what Stay-lit® light strings do. The Stay-lit® secret is in the socket – not in the bulb. You don’t have to buy special bulbs. For bulb replacement, use standard bulbs. “Retail store Christmas buyers look only at price.” They don’t care about the consumer – only profit for their company. 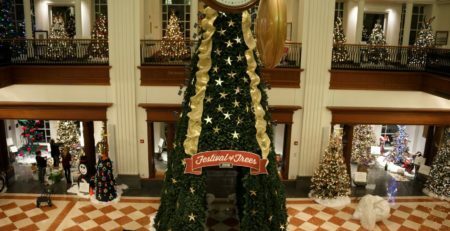 Several years ago, a large retailer (Buyer) rejected a Staylit pre-lit Christmas tree because the price was one cent higher. Instead, they would let the customer work tirelessly to find the bad bulb keeping the string operating. With Staylit, only that bulb would be out and it would be easy to see. Of course, Buyers only look at price. Several years ago, GE Constant On became popular because of people’s stupidity. Too many were blinded by the GE name. It’s still true today. Sylvania® Stay-lit® incorporates new high technology circuitry requiring the use of standard bulbs found in other 50 or 100 light strings. Replacement bulbs for these strings can be found in standard low cost non-Stay-lit® light strings.